Yee-Haw! 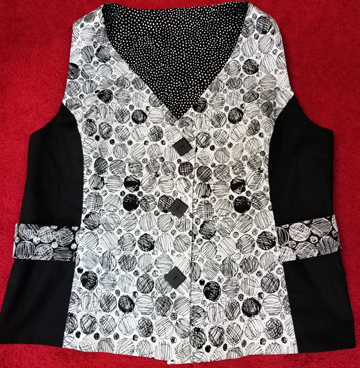 This new western collection is plain fun! 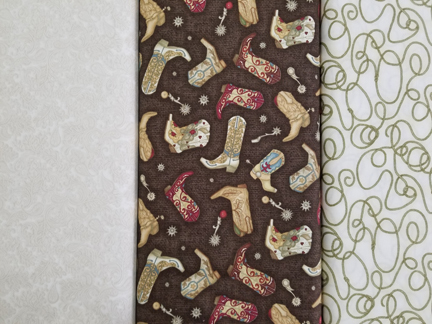 This collection features cowboy boots, belt buckles, lasso rope, silhouette of bucking broncos, and two scroll blenders. 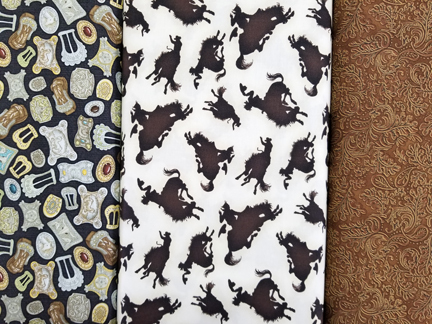 Come and pick your favorites quickly as our western prints go fast. 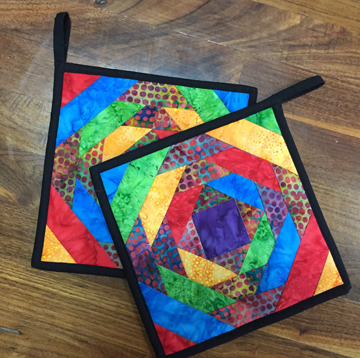 Cowboys and Cowgirls are going to especially love these! 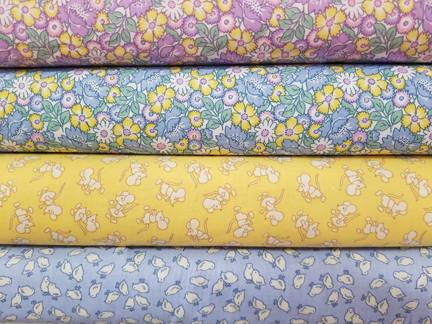 These four very sweet bolts are perfect to add to your 1930's Reproduction stash. 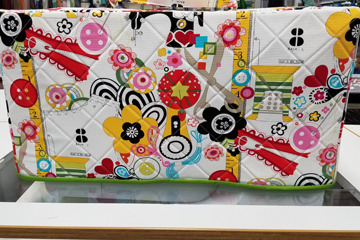 Every quilter/sewist needs one of these next to their sewing machine – ours is full of everything needed to complete our projects. 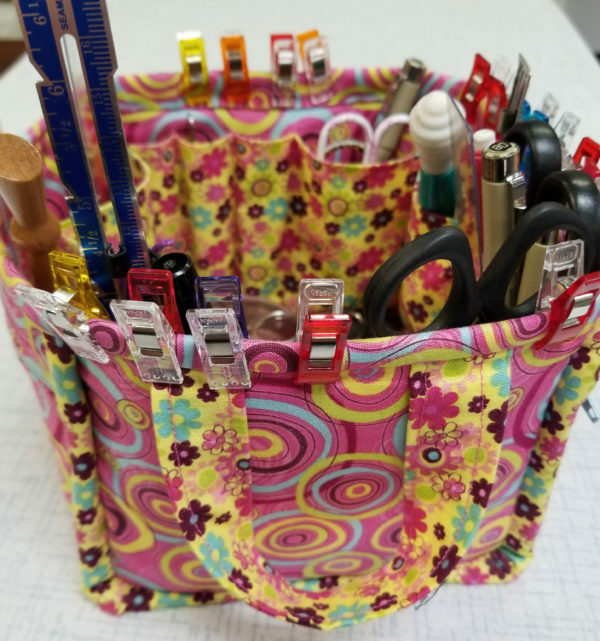 Use these handy organizers next to your sewing machine, on your desk, or in the bathroom to keep everything at your fingertips. 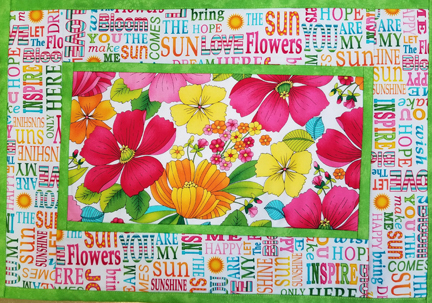 Lots of pockets provide extra storage space. Sue Maxwell will be your instructor. 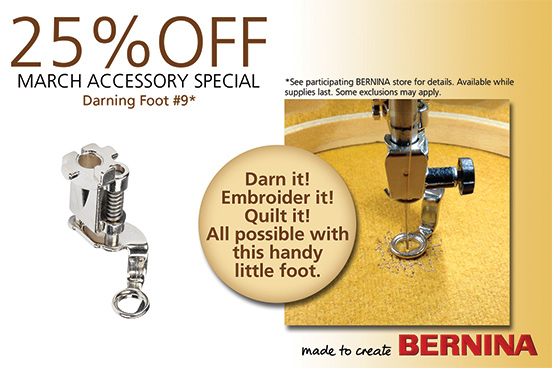 Freehand Monogramming Foot #9 is BERNINA’s March Special Accessory of the Month and is 25% off from March 1-31st. Come to this informational meeting to discover all the amazing things that can be done with BERNINA Software - the possibilities are endless! 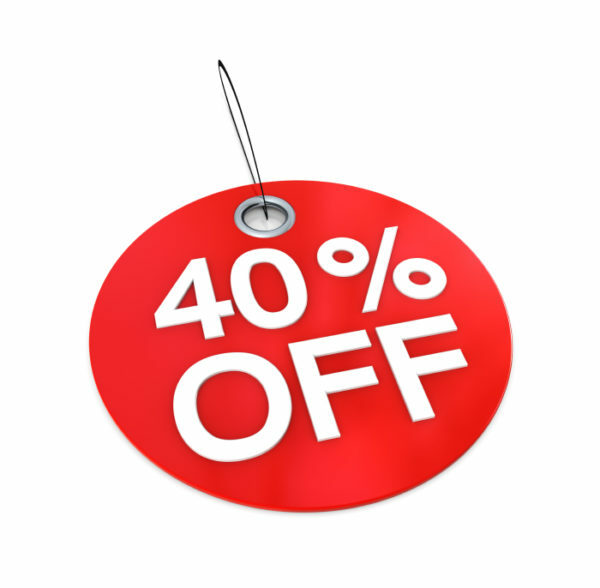 You can now take 40% off all yarn, notions, books, etc. 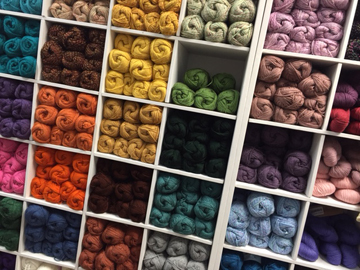 Be sure to come by soon before it is all gone!